The job market of tomorrow is going through numerous changes and developments that the new generation needs to account. The advent of new products and services that will become the need of the hour mandates the need for individuals with unique talents who can utilise their skill sets and apply them in the operations of modern companies. Thankfully, new-age educational institutes have identified the need for individuals to evolve with the job market itself and are providing educational offerings that can ensure the provision of talent across multiple industries to augment their functionality. 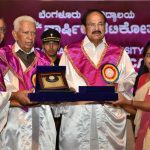 Take the example of the University of Petroleum and Energy Studies (UPES) – this institute is reputed for having a bevy of specialised courses which see to it that the professionals of tomorrow aren’t offered the same cookie-cutter degree that is provided by other institutes. Instead, these courses become intriguing and relevant once you add a certain level of specialisation that can augment these educational offerings while simultaneously giving aspirants a much-needed boost in their career. At this point, you might be intrigued to know exactly why these specialised educational offerings have become all the more important in modern times. The following points will elaborate on the same and clear out any doubts you might have on this particular subject. As mentioned before, employers are on the hunt for individuals with new-age talents who can utilise unique skills to drive forth any modern product or service offering. These talents can only be accrued once you go for a specialised form of education, and the degree that you’ll receive at the end of the day will ensure that your appeal in the job market will improve considerably. Want to get into the mechatronics, petroleum, or energy industry but feel somewhat intimidated after looking at the fierce level of competition when it comes to seeking a job in this sector? Going for a specialised course will go a long way in ensuring that little to no problems arise in the path of you achieving your dream goal and working in the sector of your choice. Remember when we talked about the notion of obtaining a cookie-cutter degree? The fact of the matter is that such uninspired education practices and an outdated curriculum can be quite detrimental to the overall process of receiving an education in the long run. Therefore, to ensure that your higher education journey isn’t something you regret, it’s highly recommended that you opt for specialised education instead. 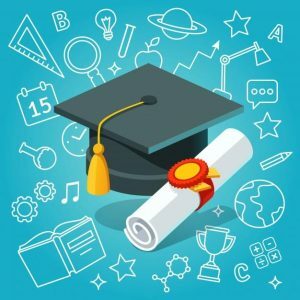 The following points should make it abundantly clear that going for specialised education is the best thing you can do to improve your career prospects. With institutes like UPES helping you achieve these goals, it’s the need of the hour for you to opt for one of these many specialised courses to help you enjoy all the achievements mentioned above.